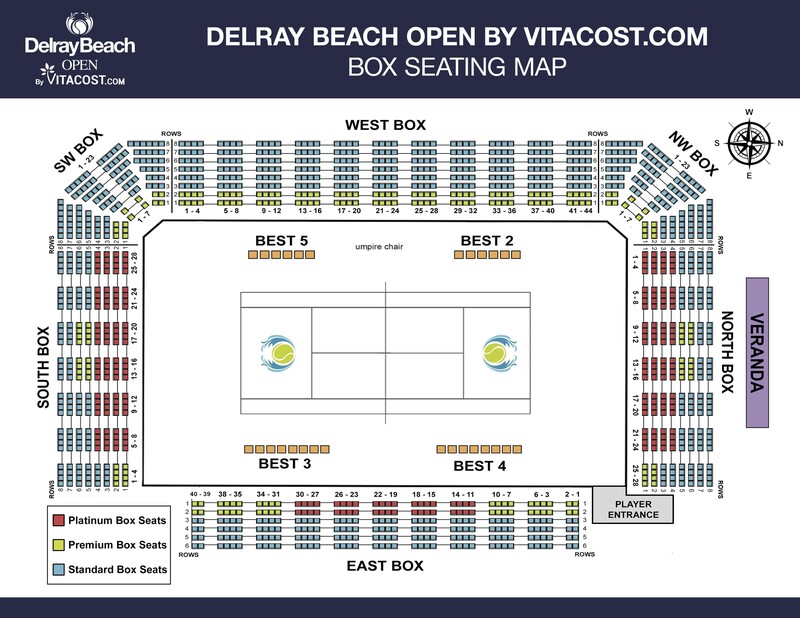 DELRAY BEACH, Fla. – You can’t be serious! Or was he? John McEnroe, arguably the most iconic tennis player of all-time, told fans here on a sun-splashed 80-degree Sunday afternoon that his days of playing competitive singles matches on the ATP Champions Tour might be numbered. 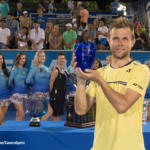 McEnroe, who turned 59 on Friday, hinted that it might be time to step aside during his post-match on-court interview on the final day of the ATP Champions Tour event at the Delray Beach Open. 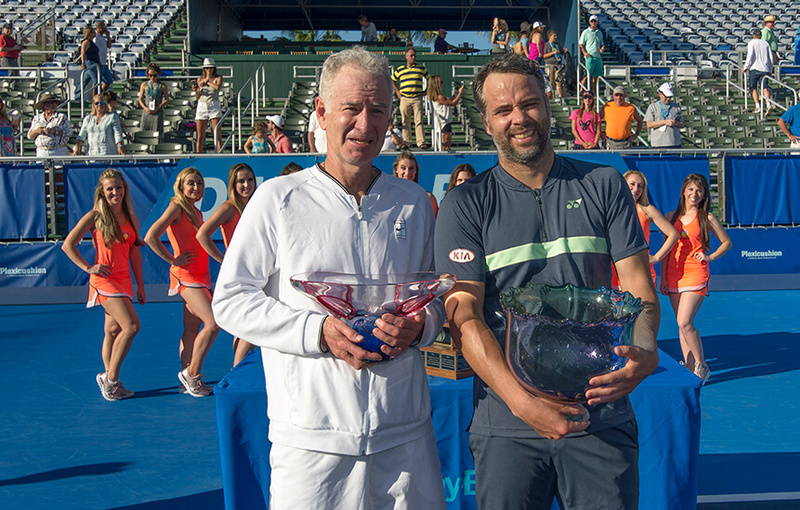 “I’m going to leave it to the young guys. . . . I’m a hundred years old,” McEnroe told the appreciative crowd at the Delray Beach Stadium and Tennis Center after he lost in straight sets (7-5, 6-4) to Chilean Fernando Gonzalez, who at 37 is 22 years younger than McEnroe. Gonzalez’s win against McEnroe put the finishing touches on Team International’s 6-2 victory in the three-day event, snapping Team USA’s two-year stranglehold on the Delray Beach Cup awarded to the winning team. Gonzalez won two singles matches and his lone doubles match—over McEnroe and Jan-Michael Gambill in a third-set tiebreaker. “It was a lot of fun to watch him. It was a pleasure to be on the court with him,” Gonzalez said of McEnroe, whom Gonzalez said is one of his tennis idols. McEnroe joined the ATP Champions Tour in 1998 and was competing in Delray Beach for the first time since 2013. McEnroe did say, however, that he “might play some doubles” at future Champions Tour events, so the door might not be completely shut on his illustrious playing career. In the other Champions Tour match Sunday, Gambill picked up Team USA’s second win by defeating Brit Greg Rusedski 6-4, 7-6 (3). Team USA’s only other win was by Mardy Fish, who bested Rusedski on Saturday. 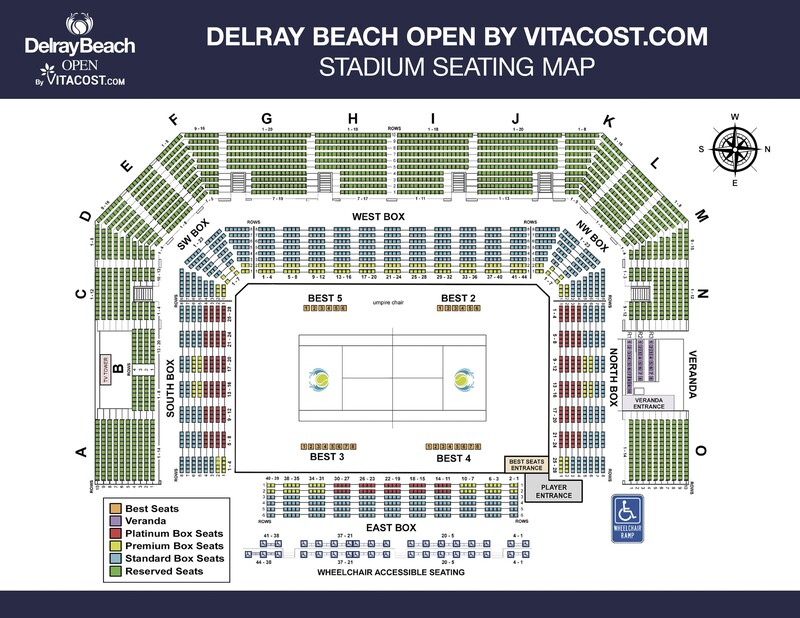 The ATP Champions Tour event kicked off the 26th Delray Beach Open, with ATP World Tour play beginning Monday.